Wine Review: 2011 Flying Otter “Sunshine” White Wine | Wine Splash! 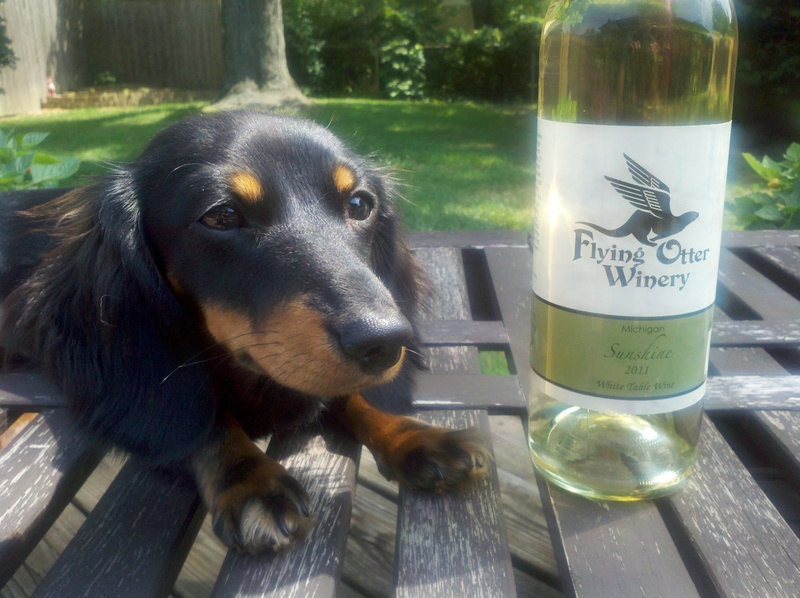 Wine Dox Daisy Rates This Wine 4 Paws Out of 5! In the summertime, there is nothing like a chilled white wine that tastes bright, fresh, and fruity. And that is exactly what you get with the 2011 Flying Otter “Sunshine”! This is a wonderful white wine blend with all the grapes being grown in Southeastern Michigan. It is off-dry so it has a hint of sweetness and a long, fresh, fruity finish. As I poured some into my glass, the wine was clear and starbright in color. On the nose, aroma’s of tropical fruit, citrus, and pear was filling my senses with anticipation! On the palate, exotic flavors of pineapple, young stone fruit, pear, and more citrus! It was medium to full body with a soft, creamy mouthfeel. The finish was very long with mineral notes and just the slight essence of honey on the back palate. This wine was reminiscent of a pinot grigio but with more fruit and softer edges. Pair with medium cheeses, baked ham, sweet and sour chicken (or ham), a greek or summer salad, and pasta primavera.